Every year, millions of people around the world suffer the adverse effect of alcohol addiction, prompting them to get into alcohol rehab. This does not however, suggest that alcohol consumption is bad. In fact, studies have shown that wine can improve your health if you drink a moderate amount. Not only does it reduce the risk of developing cardiovascular disease, it also protects the body from cancer, lowers the risk of type 2 diabetes, improves mental health, and provides ‘feel good’ endorphins like serotonin and dopamine. The question is how much wine is too much? It is pertinent to know that men and women have different alcohol tolerance levels. Women get intoxicated faster than men do. This is because men have higher amounts of water in their body. According to health experts, women should not consume more than a 5 oz glass of wine per day and men should not drink more than two 5 oz glasses of wine. How would you know that you are drinking too much wine? You may not need to get into an alcohol rehab facility if you quickly recognize that you are drinking a bit too much. Early detection helps you to remain healthy and saves you the cost of treating an addiction. causing you to use the loo more than once at night. Increased alcohol intake can affect your memory, making it difficult for you to remember things quickly. It can also affect your ability to respond to new or changing stimuli. You may find yourself responding slowly in situations that require immediate action. When your body is unable to absorb all the fluid you drink, stomach problems like diarrhoea sets in. Drinking too much alcohol can affect your liver, reducing its ability to break down fat. Watery stools and very dark urine may be signs of excess alcohol consumption. After a good night rest, you should wake up feeling refreshed and your eyes should look bright. Too much wine dehydrates the body, decreasing the quantity of tears in the eyes. If you notice that your eyes are always dry or sticky in the morning, then maybe you need to watch your wine consumption. Making wine consumption a daily habit could be the beginning of a drinking problem. It becomes worse when the thought of alcohol keeps you going throughout the day. So if you are having a hectic day, but suddenly feel better when you remember you will be having some wine later, then you are on your way to becoming an addict. 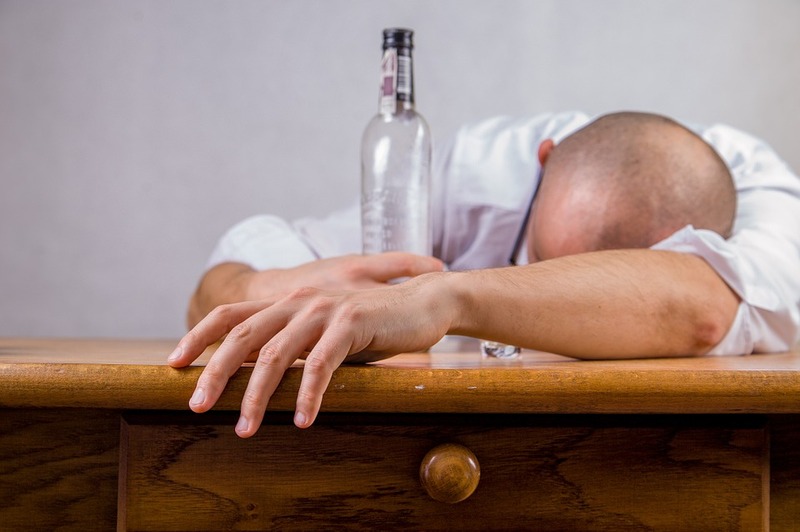 You may begin to experience sleeping problems when you start drinking too much alcohol. Most alcoholics suffer from insomnia and this means that you will wake up feeling tired and grumpy. Insomnia from alcohol addiction is often followed by oversleeping. At this stage, you will have no control of your sleep hours. While it’s okay to drink some alcohol, drinking too much of it can be dangerous to your health. If you notice that you or your loved have become addicted, you need to seek professional help. Going to an alcohol rehab facility can help you overcome your addiction and become a better person.